Join us for a 5-week session of Baby Itsy Bitsy Yoga on Thursdays at Be One Yoga Studio in Kirkland. Classes run from 11 am to noon. This class is for newborn babies until they are mobile (crawling or walking) with parent / caregiver. We recommend waiting until your baby is at least 4 weeks old before starting baby yoga. 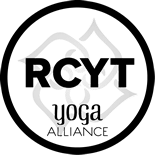 The cost for the 5-class session is $80, plus a one-time $20 registration fee (if you haven’t taken one of Blossoming Yogis’ Itsy Bitsy Yoga classes before), for which you will receive one of Helen Garabedian’s Itsy Bitsy Yoga books to support your practice at home. This class is currently full. Contact us to join the waiting list. Join us for a 5-week session of Tot Itsy Bitsy Yoga on Fridays at Be One Yoga Studio in Kirkland. Class runs from 10 – 10:45 am. This class is for babies who are already mobile (crawling, scooting or walking), but under 24 months old. This class currently has one opening. Contact us to join the session. This class currently full. Contact us to join the waiting list for this session or next. 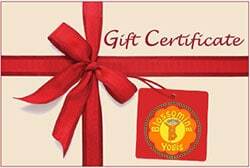 Join us on Saturdays for Prenatal Yoga at Be One Yoga Studio. Prenatal Yoga is a wonderful way to stay active during your pregnancy, while preparing your body for labor and delivery. We combine breathing exercises, movement, meditation, relaxation and education about childbirth and your changing body, to help you discover your inner wisdom as a woman and prepare you to birth with confidence and peace. Classes are taught by Anna Starikov of Blossoming Yogis, a Registered Yoga Teacher with specialized training in Prenatal Yoga. No yoga experience necessary. Space is limited, so please preregister** prior to attending class. Right now, classes are filing up 4 – 6 weeks in advance, so please keep that in mind before purchasing a pass if you are close to your due time. If you have questions, contact Anna. 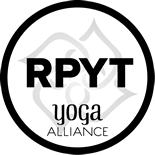 To sign up, just click on the Register button above to get to Be One Yoga Studio’s MindBody site, find the class day you’re interested in attending and click the “Sign Up Now” button. 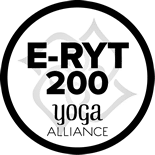 **Please note that if you sign up for a class through their MindBody system, and are not able to attend, you must cancel your reservation by 6 pm on the Friday before the class or you will be charged for the class.